With help from the wonderful educators that have joined us on R/V Falkor, we have created a number of lesson plans that can help your students connect with the cutting-edge oceanographic research that we are doing at sea. The sea floor is covered with interesting geologic features from trenches to seamounts, but we have barely started to map this enormous area. There is still much work that needs to be done before we have a complete view of the sea floor. 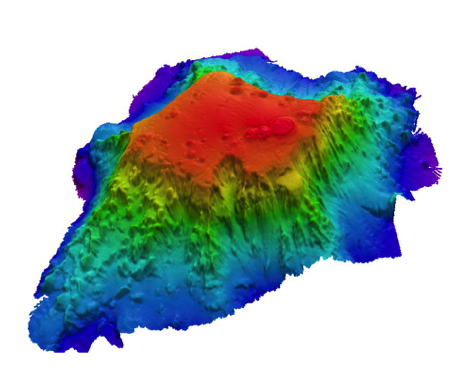 R/V Falkor uses a multibeam in order to gain valuable information about the seafloor and its hidden features as the ship moves across the ocean. Check out this lesson to use real mapping data to create two-dimensional, colored contour, story, and the three-dimensional structure. Recommended audience: 7-8 (Earth Science/Life Science) or 9-12 (Oceanography/Marine Science), depending on concept focus and depth of research. To uncover the geological features that are under the water, ships use echoes to determine the floor’s features. Many environmental factors influence how sound travels through the water; on R/V Falkor, these are quantified using an expendable bathythermograph (XBT). Bring mapping into your classroom with the Pings! Lesson Plan. Your students will simulate transmitting and receiving sonar signals in order to build a map of thier partner’s unknown geographic features. The sea floor is composed of distinct and exciting environments and ecosystems, including hydrothermal vents. In the Virtual Vents Lesson students learn how these vents are formed geologically, define the fascinating chemistry, and explore the surprising biodiversity in these extreme environments. This lesson also serves as an exciting introduction into the world of robotics and the technological capabilities of remotely operated vehicles (ROVs). 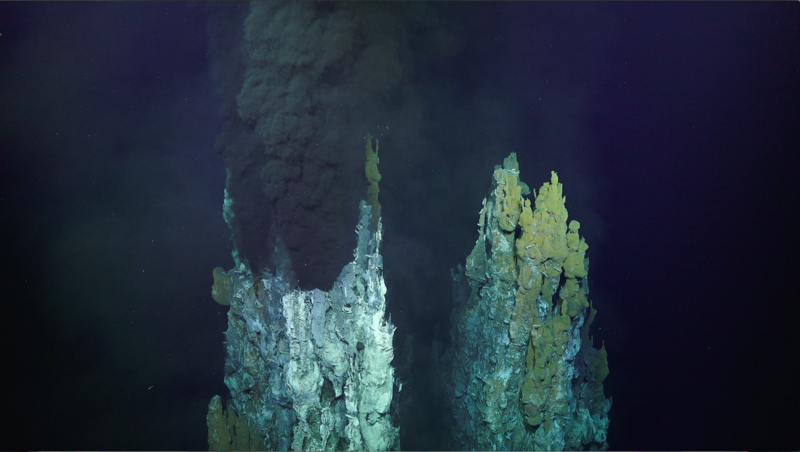 Video Files: Access video clips from Virtual Vents cruise highlighting hydrothermal vents – available here. Access video clips from Ancient Sea Level Secrets cruise highlighting corals – available here. Access video clips showing examples of student’s completed projects – available here.